Hugo von Hofmannsthal is one of the modern era's most important writers, but his fame as Richard Strauss's pioneering collaborator on such operas as Der Rosenkavalier and Die Frau ohne Schatten has obscured his other remarkable writings: his precocious lyric poetry, inventive short fiction, keen essays, and visionary plays. 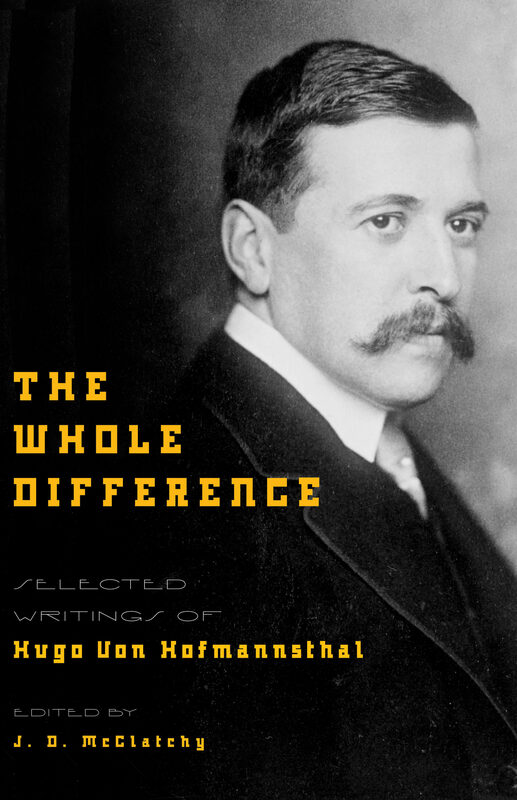 The Whole Difference, which includes new translations as well as classic ones long out of print, is a fresh introduction to the enormous range of this extraordinary artist, and the most comprehensive collection of Hofmannsthal's writings in English. Selected and edited by the poet and librettist J. D. McClatchy, this collection includes early lyric poems; short prose works, including "The Tale of Night Six Hundred and Seventy-Two," "A Tale of the Cavalry," and the famous "Letter of Lord Chandos"; two full-length plays, The Difficult Man and The Tower; as well as the first act of The Cavalier of the Rose. From the glittering salons of imperial Vienna to the bloodied ruins of Europe after the Great War, the landscape of Hofmannsthal's world stretches across the extremes of experience. This collection reflects those extremes, including both the sparkling social comedy of "the difficult man" Hans Karl, so sensitive that he cannot choose between the two women he loves, and the haunting fictional letter to Francis Bacon in which Lord Chandos explains why he can no longer write. Complete with an introduction by McClatchy, this collection reveals an artist whose unusual subtlety and depth will enthrall readers. Otros ebooks de HUGO VON HOFMANNSTHAL.